The Ontario Hockey League proudly announced that 37 OHL players were selected in the seven rounds of the 2013 NHL Draft held Sunday June 30 in New Jersey representing over 17% of all 211 players selected. 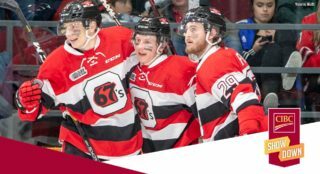 The 37 OHL players combined with the 33 from the Western Hockey League, and the 31 from the Quebec Major Junior Hockey League, produced a Canadian Hockey League total of 101 players representing nearly 48% of all players at the draft. Eight OHL players were selected in the first round of the draft that included a record 22 CHL players surpassing the previous high of 21 players selected in the 2011 and 1998 drafts. Three members of the London Knights were first round picks including forwards Bo Horvat (9th to Vancouver), and Max Domi (12th to Phoenix), along with defenceman Nikita Zadorov (16th to Buffalo). Sean Monahan of the Ottawa 67’s (6th to Calgary) was the top OHL player selected in the draft followed by Darnell Nurse of the Sault Ste. Marie Greyhounds (7th to Edmonton), while Kerby Rychel of the Windsor Spitfires (19th to Columbus), Jason Dickinson of the Guelph Storm (29th to Dallas), and Ryan Hartman of the Plymouth Whalers (30th to Chicago) completed the first round of picks. 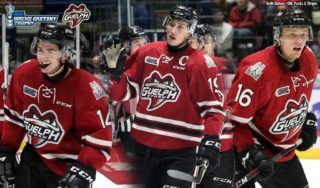 49 different CHL teams produced NHL Draft picks including 17 OHL teams led by the Knights with six players selected, followed by the Storm with five players selected. 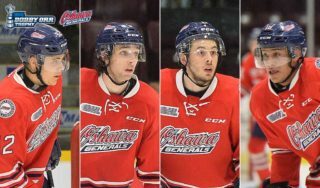 The Greyhounds had three players selected as did the Owen Sound Attack and the Saginaw Spirit. All 30 NHL teams selected at least one CHL player with 22 of those clubs drafting OHL talent led by the Buffalo Sabres and the Vancouver Canucks each selecting four OHL players. 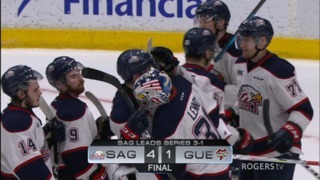 The Sabres picked up Zadorov along with Kitchener Ranger Justin Bailey, Nicholas Baptiste of the Sudbury Wolves, and Eric Locke of the Saginaw Spirit. 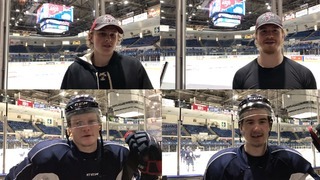 The Canucks picked Horvat along with Cole Cassels of the Oshawa Generals, Jordan Subban of the Belleville Bulls, and the Knights’ Miles Liberati. 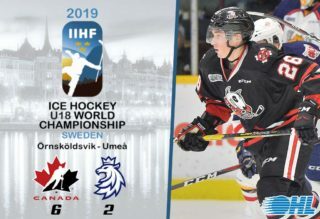 Of the 211 total players selected, 122 are forwards including 60 CHL (27 OHL), 69 are defencemen including 31 from the CHL (nine OHL), and 20 are goaltenders including 10 from the CHL (one OHL). Since 1969 the OHL has produced 2,157 draft picks representing over 21% of all players selected. Congratulations to all OHL players and their families and best of luck in your professional career. Please visit www.nhl.com for full NHL Draft results.